These brown circle lenses are going to be the next love for very one who aspires subtle looks. ICK Cherie3 brown do not carry the usual rim around that keeps the enlargement effect very moderate. 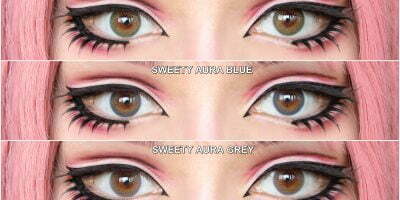 Unlike other 3 tones brown lenses; ICK Cherie3 tones do not overwhelm your eyes with an orange tone but greenish brown. This soft amalgamation of multiple hues prevent your eyes from looking fierce. They make your eyes look warm and appealing to grab attention. 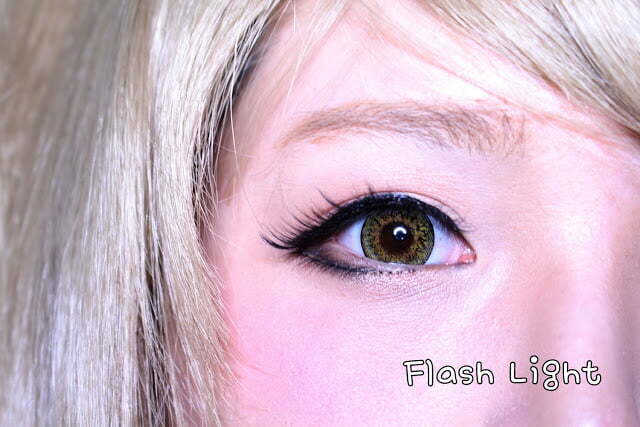 These brown lenses look great against Minami Kotori cosplay wig since the chemistry between the two seems to match. The wig is decently full where the attached pony tail adds more to its volume. Minami Kotori wig has an elegant natural warm blonde hue. It also boasts cute high school girl bangs and a scrumptious mane that beautifies your femininity. Read Minami Kotori & ICK Cherie3 review for more pictures.